CloudExtend Outlook for NetSuite login processes vary based on their license as well as the methods their Administrators have enabled for them. First time users (or users that have cleared their app cache) will see a welcome screen similar to the one below and should click Continue. 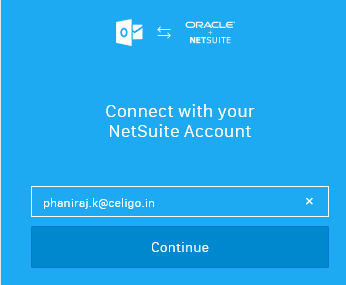 Next, enter your NetSuite login email address and click 'Continue. 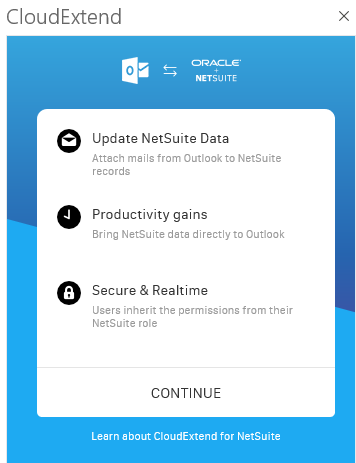 The next screen will vary based on the version of CloudExtend Outlook you have licensed as well as the login methods your NetSuite Admin has made available to you. IMPORTANT, Enterprise end users must have their licenses allocated by their Admin via the subscription management portal. If they do not exist in the portal they will instead be asked to start a trial and will be limited to Username & Password sign in only. Trial users and users with a CloudExtend User subscription will only be able to use Credentials based login and will select Username & Password. 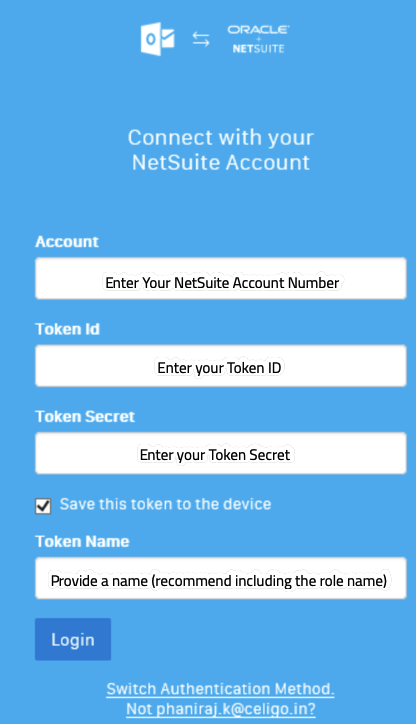 Selecting Username & Password will allow you to enter your NetSuite password to sign in. Note that this login method is not valid for NetSuite roles requiring two factor authentication (2FA). Users signing in with TBA will have an option of securely storing their token ID and secret and creating a pin to unlock them making future sign ins simple. 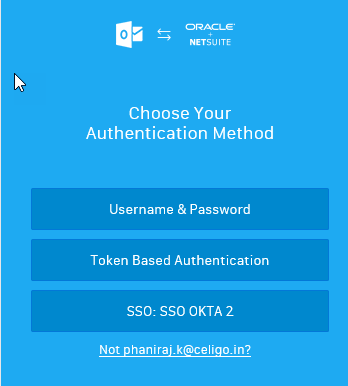 After selecting 'Token Based Authentication' the following screen is displayed. For more information on creating tokens see this article. - Give this login combination a name that will be easily recognizable. 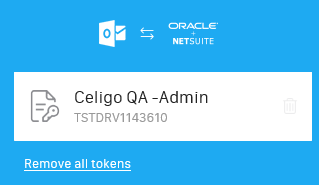 This is especially important if you have tokens assigned to multiple roles. On the next screen you will be prompted to enter a PIN. This PIN will be all that is required for subsequent logins. We recommend a 4 digit numeric PIN but you may choose to enter a longer number consisting of alphanumeric characters if desired. IMPORTANT - PIN numbers cannot be reset. If a PIN is forgotten users will be required to add new tokens and generate a PIN again. Instructions for SSO are coming soon. Meanwhile use the messenger icon at the bottom of this page to chat with us and we'll arrange to walk you through the setup.